Last Minute Holiday Shopping? We Have Your Perfect Answer! 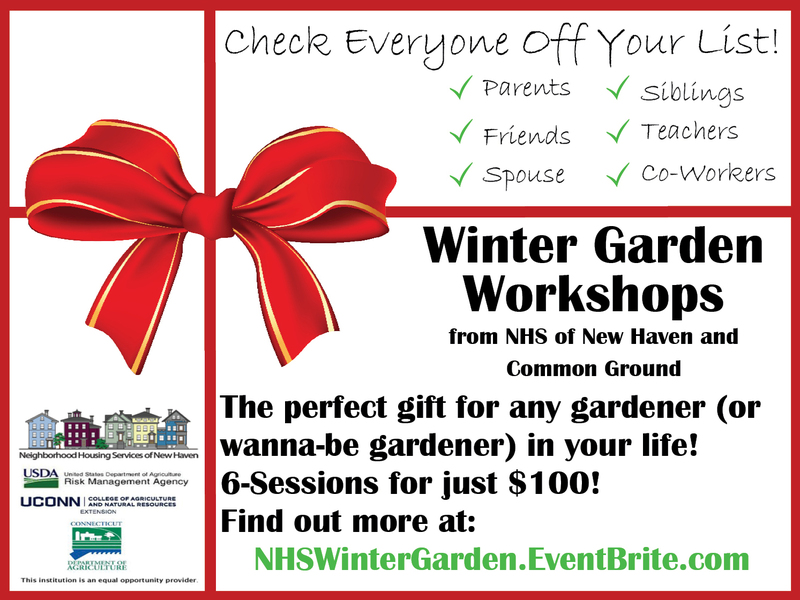 Learn about starting your garden as soon as the snow is gone! Cool weather crops don't mind the cold and give you a head start on the season. Most can be planted directly in the ground saving any space you use for seedlings for other crops. Everything you'll need to know about warm weather crops; which ones are best started indoors, or direct seeded into the ground. What fertilizers to use, what conditions each crop prefers, all the information for a productive growing season. Some people have no access to garden space; that doesn't mean you can't grow your own vegetables. Container gardening can be rewarding and supply you with more food than you thought! Learn the in's and out's of using containers for your growing needs. The class will also go through everything you need to know to start your own seedlings. Everyone attending will get to plant a six pack of seedlings to take home with them. Attractive plants or food? Why not have both! Lots of edible plants are beautiful additions to even an ornamental garden. Learn which plants will perform well in either a vegetable or ornamental garden, which ones not only produce food but create attractive areas in your garden. Also learn about weeds that are edible and nutritious, and invasive plants and how to get rid of them. Work in our community gardens this autumn was more fun than usual due to the enthusiastic participation of several groups of young volunteers. Youth from the ages of 4-17 have helped clear beds, rake leaves, and plant trees and bulbs in the Ivy Street, Stevens Street, and Davenport Street gardens this October and November. By working with local youth programs, we at NHS hope to instill in neighborhood kids a sense of ownership over their public spaces, and provide young people with safe spaces to explore and learn about their environment. Many hands make light work, no matter how small the hands are – and gardening offers no end to educational opportunities. 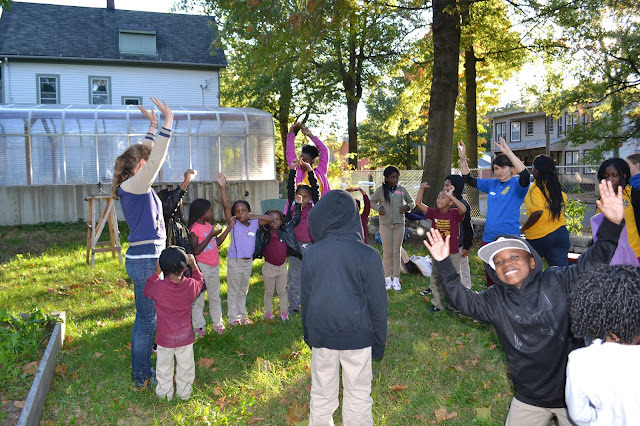 The youngest kids, through the Citycology program at Solar Youth, had a blast learning about compost and worms at the Ivy Street garden. Older students from Solar Youth learned about bulb planting. Youth from Squash Haven who planted trees in the Stevens Street garden not only learned about hoop houses and tree planting, but also developed quite a knack for riding in wheelbarrows. 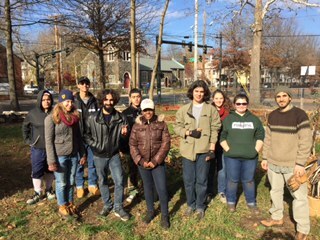 Common Ground High School students, on their community service day, raked and composted in the Ivy Street garden, and also repaired a fence on the outside of the garden. Even seasoned environmental studies students were surprised by what they learned. One freshman from the Sound School, while working along the Farmington Canal Trail, admitted that before he and his classmates saw which bulbs we were planting, he had been confused about why anyone would think burying lightbulbs would be a good idea. A sense of responsibility over the cleanliness of her neighborhood? Check. 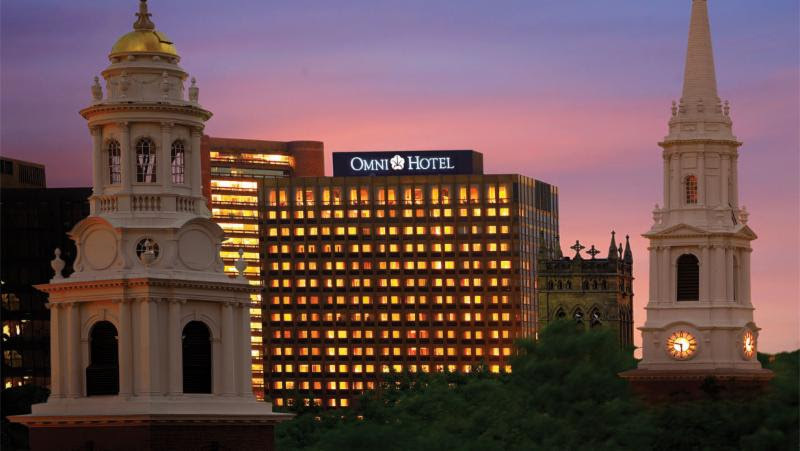 We are looking forward to more outdoor programming this spring. down where you will be raking anyway. Although sailors hate wind-less conditions, it is easy to deal with leaves when conditions are still. 2. To most easily process your leaves, a mulching mower is best. A walk-behind power mower of at least 5 HP (very common) that does not discharge leaves to the side enables you to chop up leaves without blowing them all over the lawn. However, if all you have is a side discharge mower, you can make that work if you plan where you want the leaves to end up. Set the cutting height lower rather than higher, since the grass may continue to grow some until the real cold sets in. 3. This process works best if you can work with the weather. Dry leaves chop up much easier than wet leaves, and are easier to move around. If you know there is a rain storm coming, don’t rake them into piles, they will stay wet for a long time. Instead, leave them where they fall and let them dry out for a day or two. 4. You can rake them into a pile, using a wide bamboo rake, and then mow the pile, slicing off a narrow strip on each pass. After going through the whole pile this way, you can then “cross cut” the pile, in the other direction, to further reduce the bulk. 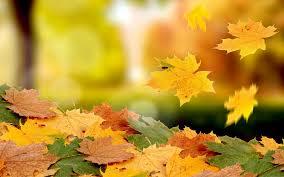 If you are starting with dry, crispy leaves, you will end up with something close to “leaf powder”. Generally, you will do this on the lawn area somewhere close to the ultimate destination, but it is best to do on a pavement, like a driveway, because then you don’t have to rake out the fine “choppings” from the grass where you processed them. 5. After the chopping process is done to your satisfaction, rake up you product and place it on shrub, flower, or vegetable garden areas. A layer 2 -3 inches is plenty. By the spring, it will be 1 inch or less. Leave as little of the ground up leaves in the grass as possible because too much of a good thing will affect the soil PH unfavorably for grass growth. In the spring, you can cultivate the leaf mulch right into the soil or just leave it in place, or cover it with decorative bark mulch. 6. If there are already fallen leaves on your shrub beds and garden areas, you don’t need to remove them, just place your leaf mulch over them, and the earthworms will take care of the rest. 7. Following this system will allow you to create the maximum favorable conditions for your plants and soil during the winter, because nature will be working for you (earthworms, moisture, warmth) rather than against you (dry, sterile soil, desiccated plants, frozen root zones). Then you can apply decorative mulch in the spring, and your landscape will look fresh, and the soil with be healthier. 8. Care of the mower is important when used in this manner. The most vulnerable component is the air filter. This will clog up after a few hours in a dusty leaf pile. Often it can just be removed and knocked around to get the dirt out enough to keep the engine up to power. Symptoms of a clogging air filter is a noticeable decline in engine power to the point of it not being able to do anything. Also, when refueling, do not allow crumbs of leaves to get into the fuel tank. Carefully brush the dirt away around the fuel tank filler cap before refueling. If this article is catching you too late to be of benefit, save it for next year, it will give you time to plan out a strategy and get the equipment you need. A decent mulching mower as described should cost under $200, and you still may be able to get one on clearance hidden somewhere away for the season. Your neighbors can benefit from this process, so if they see you at work, take the time to explain what you are doing, and the benefits thereof. Whole towns and cities can benefit if residents take care of their leaves on site, rather than exporting them”away”. 1. If your roof is worn and ready for re-roofing, current building codes require membranes along the lower edges of the roof that greatly reduce leaks from ice dams. 2. Place heat-producing cables along roof edges and gutters to melt away ice as it forms. These products are readily available at home centers and hardware stores, but can be challenging to install if you are not comfortable with heights and ladders. Follow the products instructions for installation and use. They will cost you some electricity to operate. 3. Acquire a roof rake and pull off as much snow from the roof as you can, if you can reach it with the extended handle of the roof rake. Especially concentrate on the eve (lower) areas. If the sun can reach the roof material, it often can warm it enough to defeat ice build-up. Another casualty of the past winter has been hardscape areas, which may have been damaged by snow plows, snow shovels, ice choppers, and ice melting chemicals. When using de-icing chemicals on concrete, or concrete pavers, only use products that are labeled as “pavement friendly”. Sodium Chloride (rock salt) destroys concrete. Calcium Chloride is less destructive. Surface damage to limited areas such as steps, porches, etc. can be repaired with high-strength concrete repair and re-surfacing materials, a task within grasp of most homeowners. Any questions?! 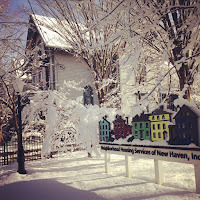 Feel free to email us at Admin@NHSofNewHaven.org! 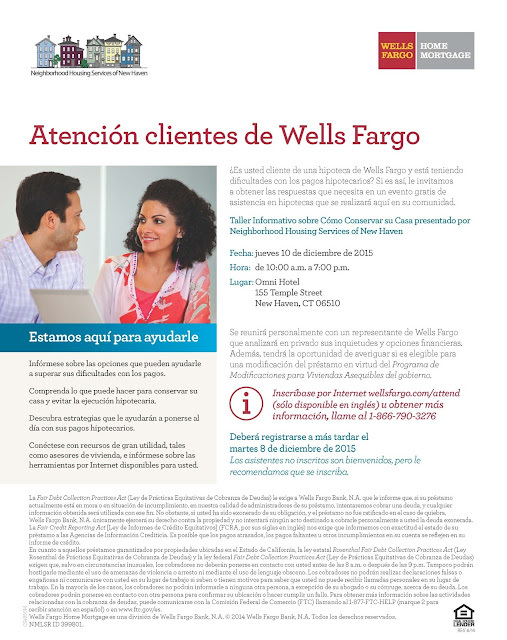 Attention Wells Fargo Customers: Home Preservation Workshop! Are you facing mortgage payment challenges? 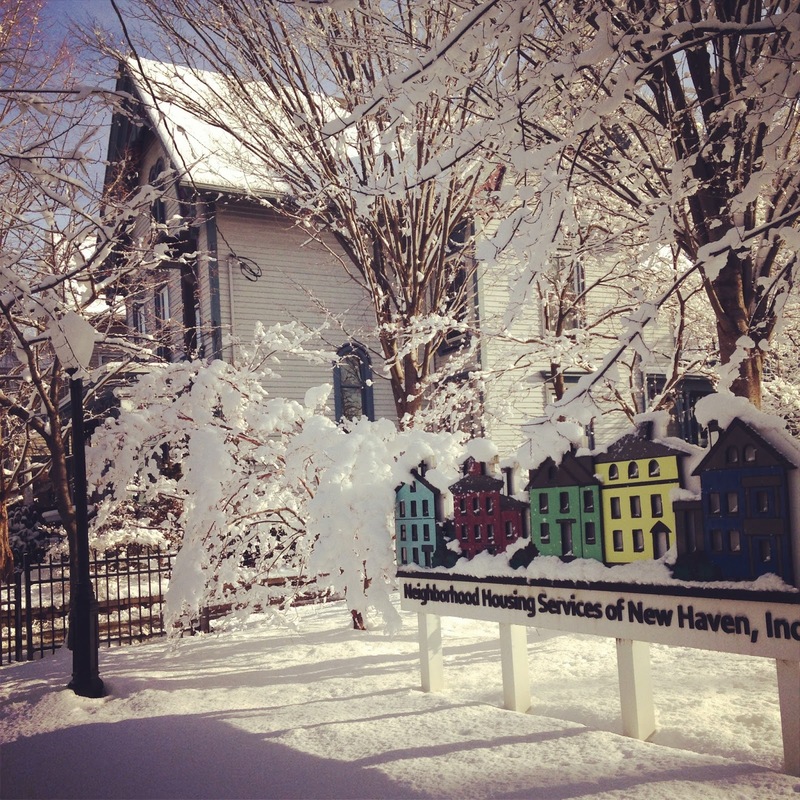 Get the answers you need at a FREE mortgage assistance event. You'll personally meet with a Wells Fargo representative who will privately discuss your financial concerns and options. Plus, you get the opportunity to see if you're eligible for a loan modification under the government's Home Affordable Modification Program. 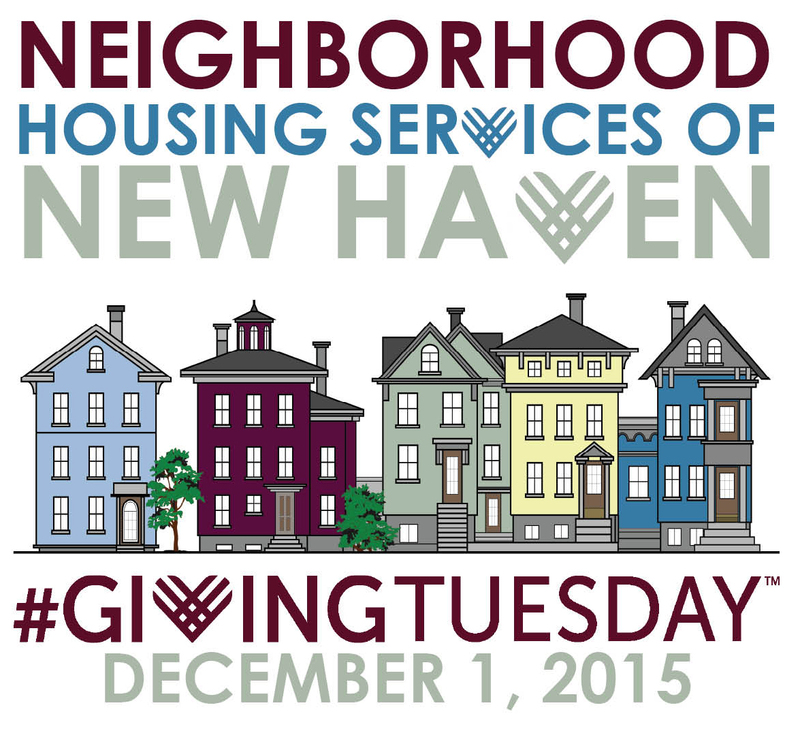 Please Register Online by Tuesday, December 8, 2015. Walk-ins are welcome, but registration is recommended. Learn about options that may help you overcome payment challenges and help you get back on track with your mortgage payments. Understand how you may be able to keep your home and avoid foreclosure. 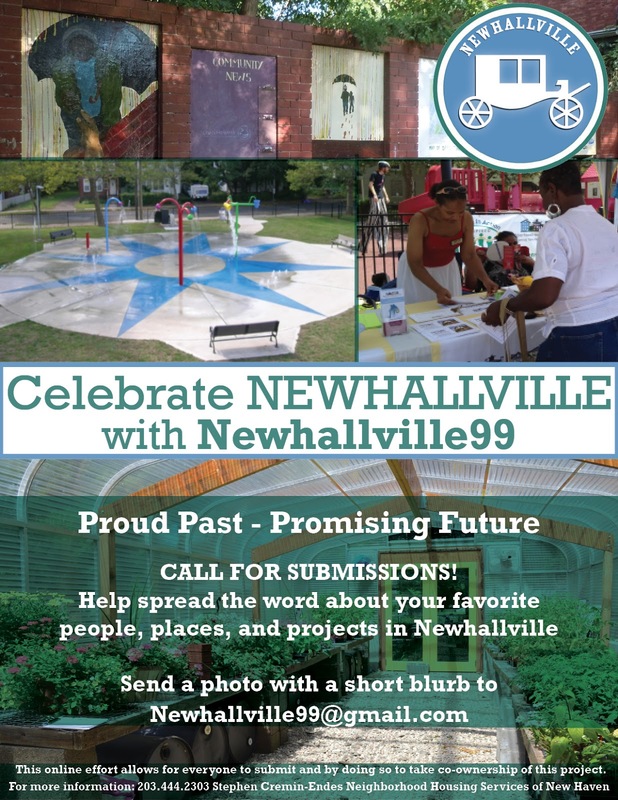 Visit our facebook page,/Newhallville99 to stay in touch with the project's latest news. Like our Instagram page,/newhallville99 to potentially see your submission! Join the Movement and Give Back! #GivingTuesday is a global day of giving fueled by the power of social media and collaboration. Observed on the Tuesday following Thanksgiving, #GivingTuesday kicks off the charitable season, when many focus on their holiday and end-of-year giving. 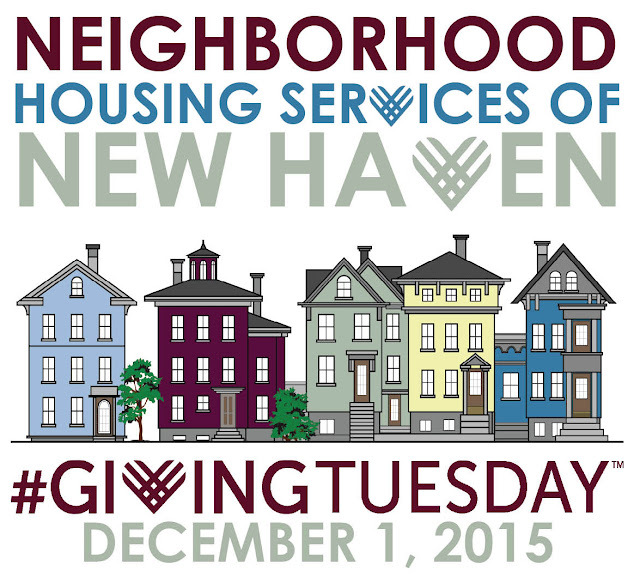 Please consider contributing to NHS today or help us by spreading the word about the #GivingTuesday movement.